It’s no secret that Ford’s EcoBoost engines are incredibly torque and very tunable. The smaller 1.6L and 2.0L are well known for gaining huge amounts of torque with bolt ons and a tune, and the larger 3.5L is no different. 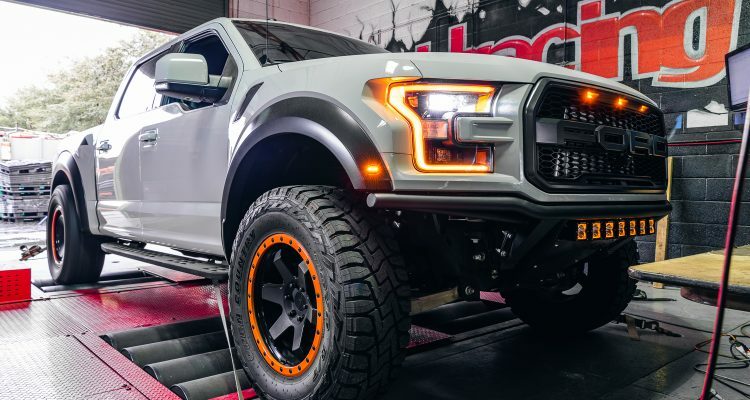 The Raptor already makes big power with its EcoBoost engine, outputting 450 horsepower and 510 ft-lbs of torque, but the turbocharged nature of this engine makes it really easy to get more power out of it. 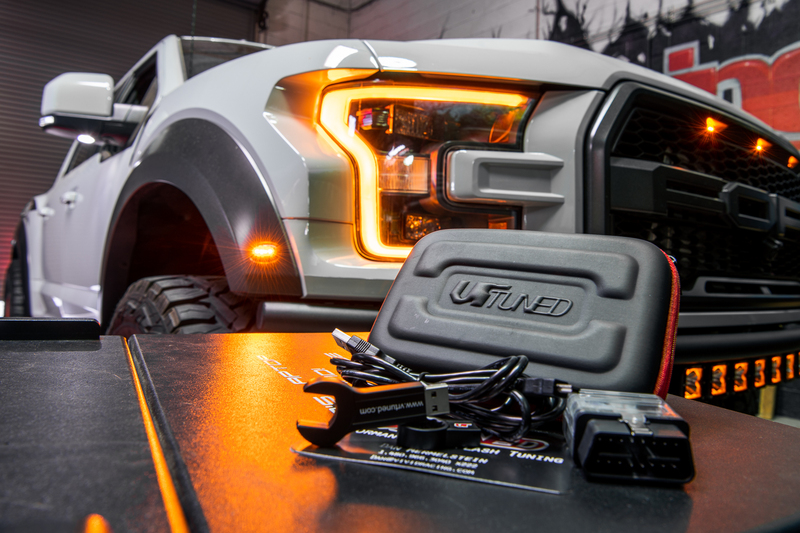 We’ve had our Project Raptor for quite a while, and now our tuning division, VR Tuned, has completed the development of the new VR Tuned ECU Flash for the EcoBoost Raptor! 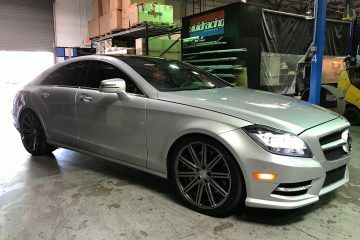 The engine relies on a computer to tell it what to do, and this computer knows what to do based on the input from the engine sensors such as the O2 sensors, MAF/MAP sensor, knock sensors, and many more. What our tune does, is adjust the parameters the computer tries to stay within. By increasing target boost and target ignition timing, while also adjusting target air/fuel ratios, you can easily get more power from the engine. 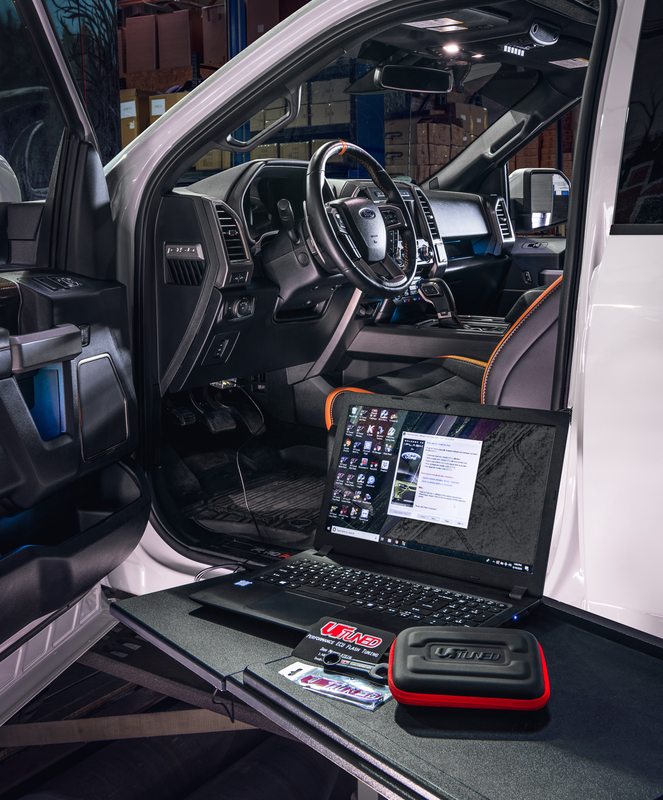 In the case of the EcoBoost Raptor, our VR Tuned ECU flash takes the engine from 450 horsepower and 510 ft-lbs to a whopping 530 horsepower and around 580 ft-lbs of torque. 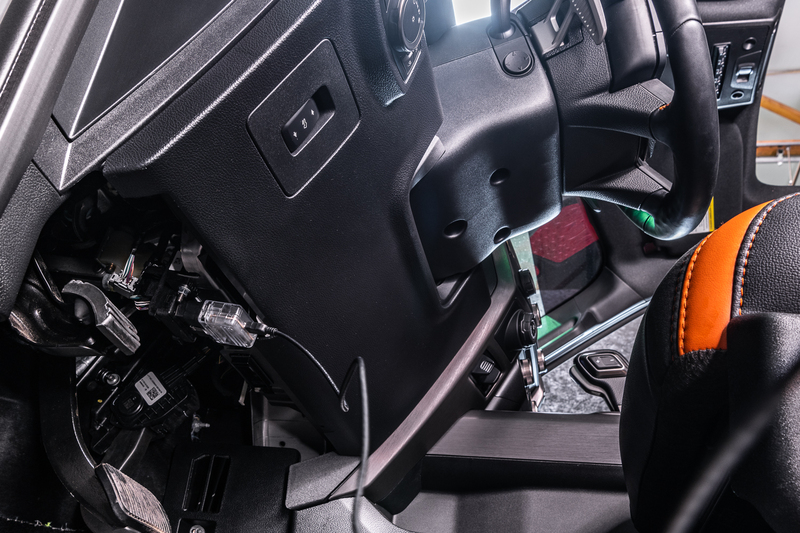 This was all done with Arizona’s less-than-ideal 91 octane fuel and very hot ambient temperatures, so expect to see even larger gains with higher quality fuel or cooler ambient temperatures. 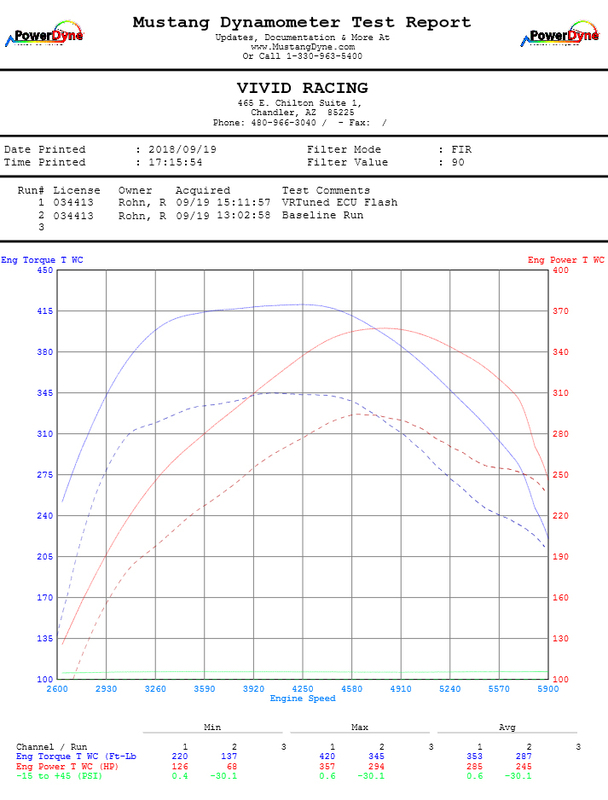 Aside from the big increase in power, there is a big improvement on throttle response. 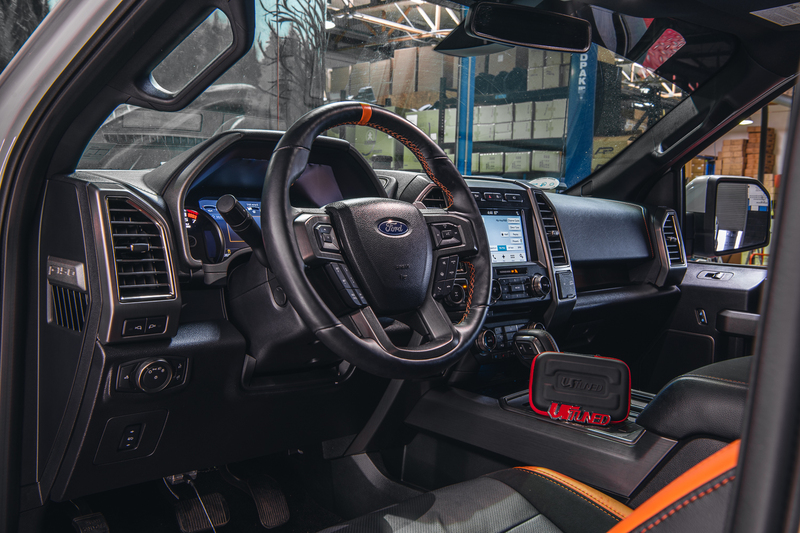 Although Ford did a pretty good job with the factory ECU tune, it left the Raptor with subpar throttle response which can make the Raptor feel slow off the line or while coming out of corners. 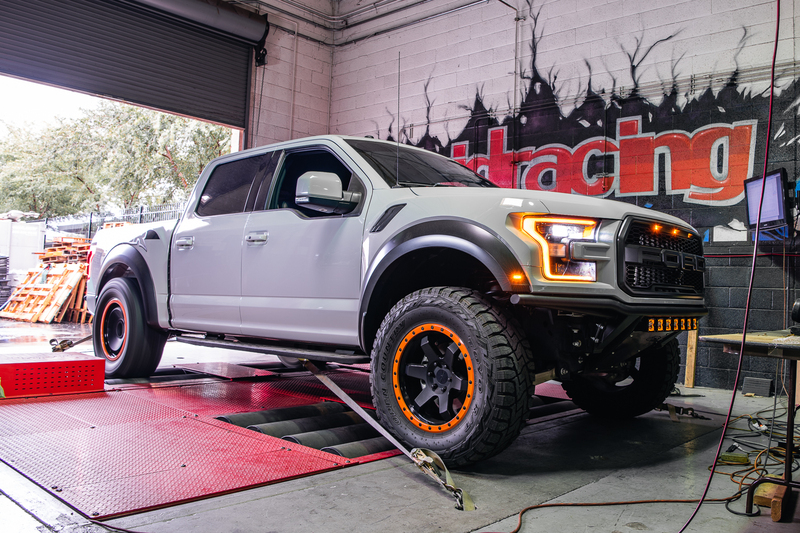 Our tune fixes this, making throttle modulation easier and making your Raptor pull hard when coming out of corners. Of course, the peak numbers don’t really mean much if the power gains throughout the power band are weak. The tiny turbos of the 3.5L EcoBoost make a ton of low-end power and a ton of mid-range power. 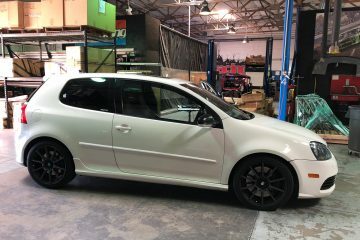 Unfortunately, power does fall off at the top on both the factory tune and the VR Tune, but that’s just the nature of tiny turbos. All the gains are in the low-end and in the mid-range, which is where you want power when off-roading or daily driving. Check out both the videos below which dive in depth on how our VR Tuned ECU flash works and the power gains you can expect! 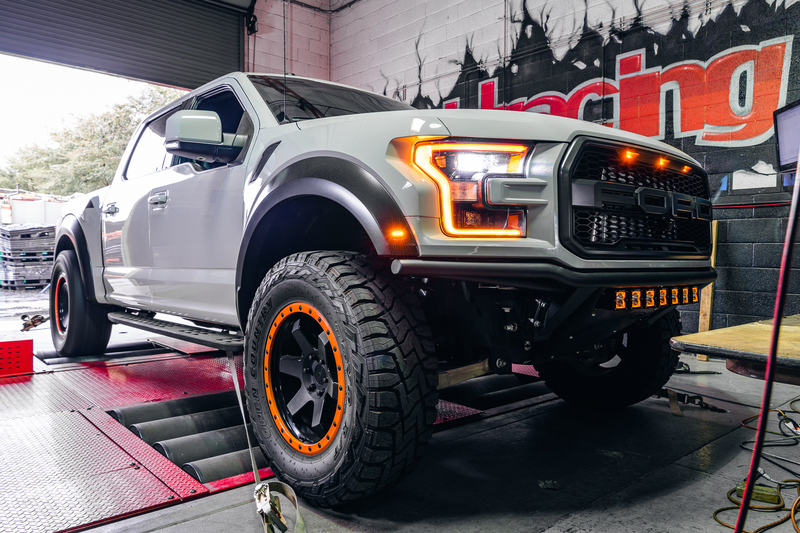 If you have any questions about VR Tuned ECU Flash for Ford Raptor EcoBoost or would like to purchase parts for your car, please do not hesitate to contact us. We can be reached by phone at 1.480.966.3040 or via email at sales@vividracing.com.